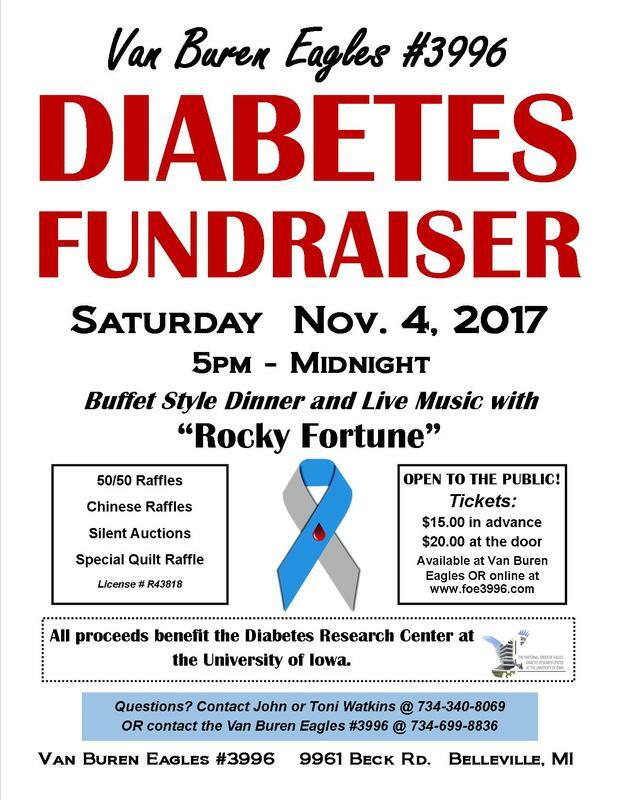 Purchase your Diabetes Fundraiser tickets right here using PayPal. You may choose to purchase 1-10 tickets using the drop-down menu and the PayPal button below. The use of this service incurs a small service fee that covers the amount we pay PayPal. Please make sure you include your phone number on the payment information. We will hold your purchased tickets at the door for you on the night of the event. If you do not see a drop down arrow, click inside the ticket box to see quantity choices. Diabetes FR Tickets - Click drop down arrow to choose quantity.